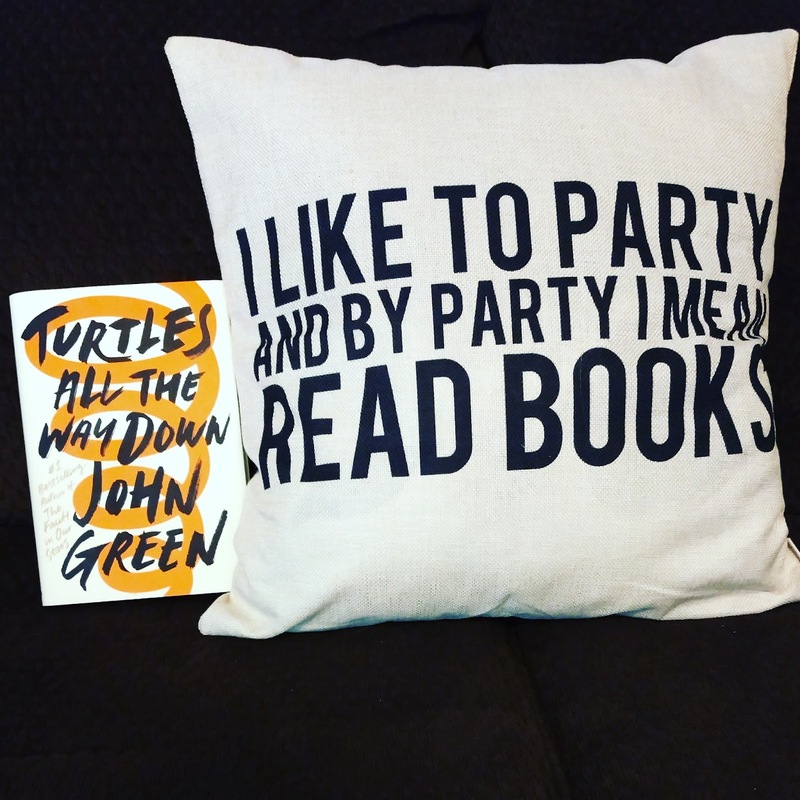 Turtles All the Way Down, the latest by beloved YA author John Green, is finding wide-ranging reviews. This novel was anxiously awaited for by Green fans since it is his follow-up the mega-hit, The Fault in Our Stars. For his latest, people either love it or they hate it. I am squarely in the “love it” category for several reasons. 1. I must admit that part of why I love any book by John Green is because I love John Green himself. I know this isn’t right, but I can’t help it. He has done so much for young adult literature and young adults, in general. He has created safe spaces online to discuss real-life issues in a way teens can understand. I actually first discovered John Green on YouTube rather than his novels (as did many other nerdfighters). Specifically, a video he posted debating why his books should not be banned. You should check it out. 2. One of the constant critiques I hear of John Green is that teenagers do not “talk like that.” You’re wrong. While most do not, there are some teenagers I taught who did talk just like his characters. I'm not ashamed to admit that I taught teenagers who were way smarter than me. And, who cares if teens read this book and they don’t really talk this way? They will just learn some more SAT words. And, if we want to treat them like adults, then we should talk to them like adults. * Now that is out of the way, let me tell you why Turtles All the Way Down may be my favorite John Green novel. 3. I read the novel a few days ago, and I am still thinking about it. This is the sign of a really good (great) book. 4. This book deals heavily with mental illness. However, unlike some other young adult books that make mental illness (and/or suicide) seem romantic (you don’t want to get me started), TATWD does not glamorize it. It is eye-opening. Readers get to go inside the head of the protagonist to hear her stream-of-consciousness thoughts and how they affect her actions. It is sad, frustrating, and uneasy. And, John Green does not try to “solve her problem.” In fact, he does the opposite. He ends the book by letting the readers know this is something the character will continue to deal with for the rest of her life. 5. Along those same lines, this is not a typical YA book where the main character is rescued or does the rescuing. Neither happens. I love that. It is so much more realistic. 6. The main relationship in this book is not romantic – it is platonic. The main character’s relationship with her female best friend is lovely. It is imperfect and beautiful. I love that rather than this being a book where the romantic elements drive the plot, this novel focuses on the relationships typically outside the plot. 7. It has lines like this one: “You’re both the fire and the water that extinguishes it. You’re the narrator, the protagonist, and the sidekick. You’re the storyteller and the story told. You are somebody’s something, but you are also your you" (257). 8. John Green has been open and honest about his personal struggles, including obsessive-compulsive disorder. I applaud him for using personal elements to bring a story to life for the rest of us. And, for showing how it is live with mental health issues and how it affects those closest to them. Plus, he includes a mental health services treatment health line number in his acknowledgments. If you do not remember what it was like to be a teenager or do not like teenagers, then this book probably isn’t for you. But, if you do like teenagers and remember this time in your life (or have dealt with mental health issues or someone close to you has), then pick up this book. It is worth your time. You can purchase this book from Amazon here or by clicking the picture or any of the hyperlinks, which are affiliate links. Thank you for supporting my blog.